Browse our collections of premiere of lingerie, mastectomy fashion and swim wear. Stop by or schedule your bra fit styling session here. A Fitting Place, Inc. is a Memphis-based lingerie and post-mastectomy wear specialist. We offer a wide range of premium intimate apparel brands, mastectomy bras, swimwear and prosthesis of the highest quality to suit the lifestyle of each woman. 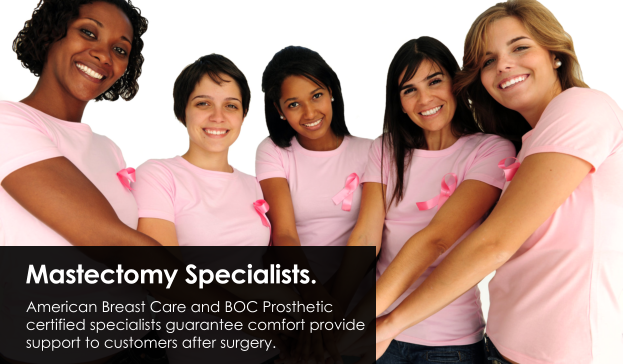 Our goal is to make every woman feel beautiful and to give you back your confidence after your surgery. We serve women of all ages, stages and sizes. Our wide selection offers customers many choices of lingerie, swimwear and undergarments. Our shop respects women who are going through chemotherapy, having a mastectomy and to all those who have endured their battle with cancer. We salute you! We hope you find just what you are looking for … the perfect fit!